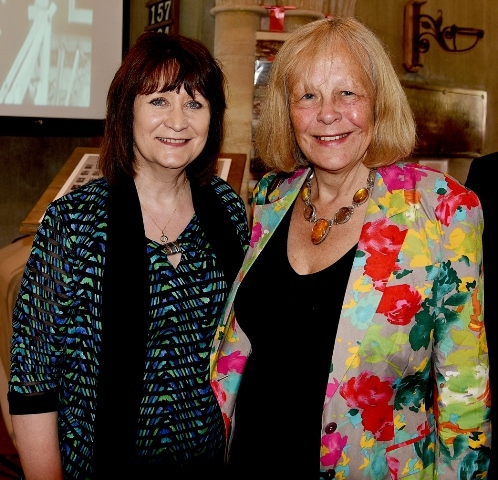 The months of careful planning came to successful fruition over the weekend of 17-19th June when the Lloyd George and Other Families Exhibition was held at Jordanston Church. 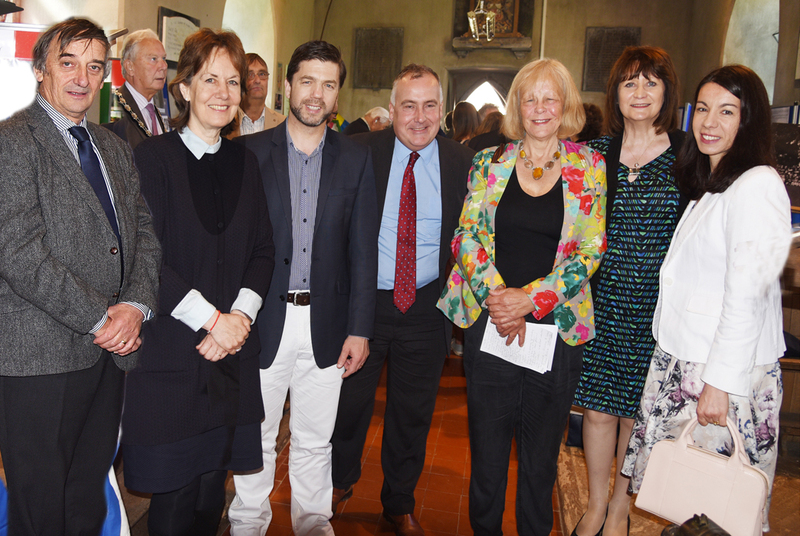 Over 500 people attended including pupils from four local primary schools and a significant amount of money was raised to aid the restoration programme. 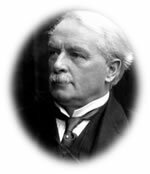 The Exhibition was held this year to mark the centenary of David Lloyd George becoming the British Prime Minister. And the purpose was to highlight the premier’s close links with the church, where his father, grandfather, grandmother and grandmother’s second husband as well as other relatives are buried. In addition to information panels highlighting the family’s history a documentary played for three days about his life and there was a display of commemorative china highlighting aspects of his career. 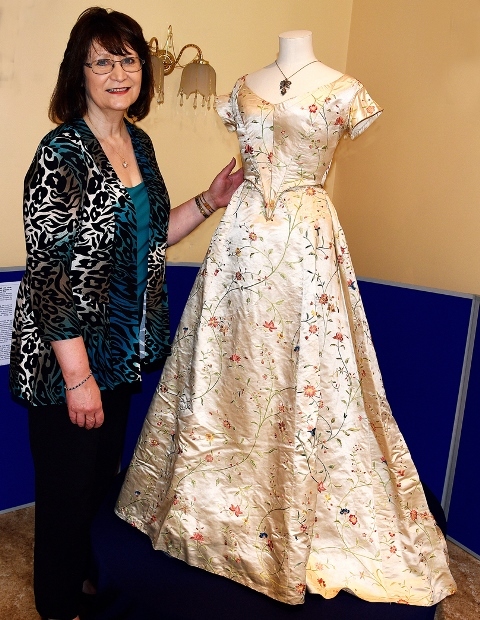 Other displays featured the Mathias family of Llangwarren and the Hamilton family including the wedding dress of Lady Marianna Augusta Hamilton which dated from 1834. 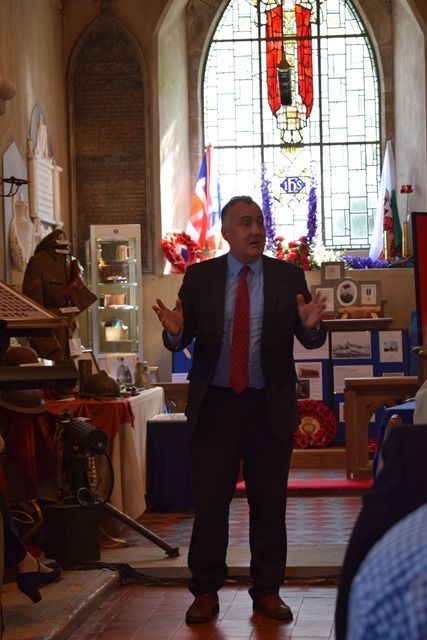 Other displays featured parishioners involved with both world wars and there was a special feature about Norman Phillips who was killed during WW2 and in whose honour the stained glass window was given. Of particular interest was the WW1 Machine gun. 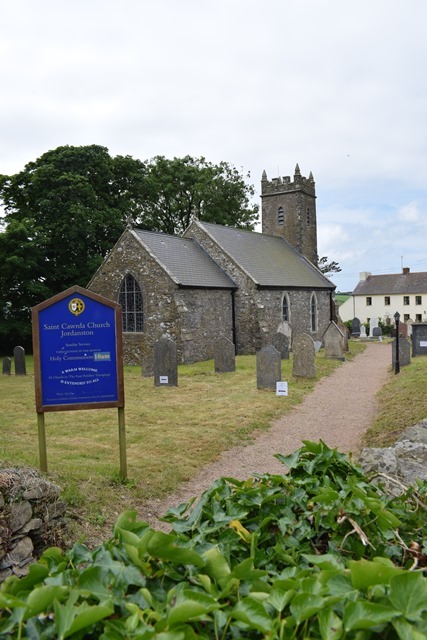 One section entitled ‘Living Church@ highlighted St Cwrda’s role in the life of the local community and there was a display relating to past incumbents. At Jordanston Hall, where refreshments were served there was also a display relating to the Jordanston estate over the past centuries. At the house also, raffle tickets were on sale which will be drawn in December and lavender sachets which had come from Sandringham and which had be kindly been given by Mrs O’Lone, friend of the Mathias family. The Exhibition opened on Friday with payers been offered by Anthony Taylor. 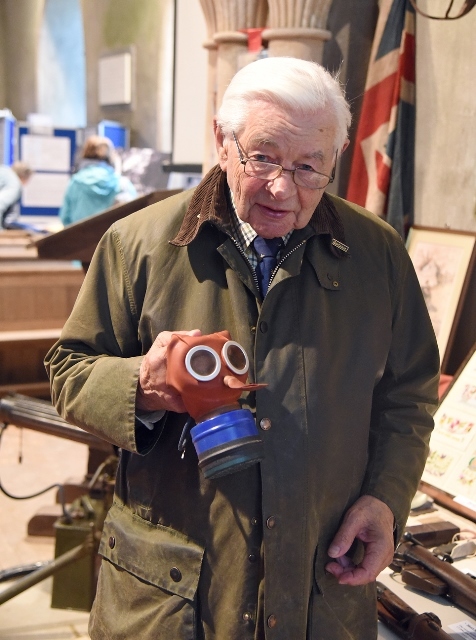 It was a particular privilege to welcome Melville Phillips, brother of the aforementioned Norman Phillips, who had travelled down especially form Bristol. 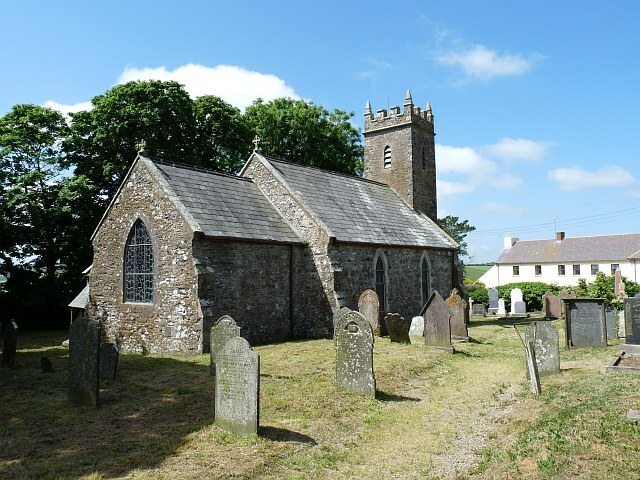 He presented the church with a number of artefacts relating to his deceased brother and in honour of his 87th birthday he was invited to cut a special cake baked by Angharad Miles in his honour. The exhibition was officially opened on Saturday morning. 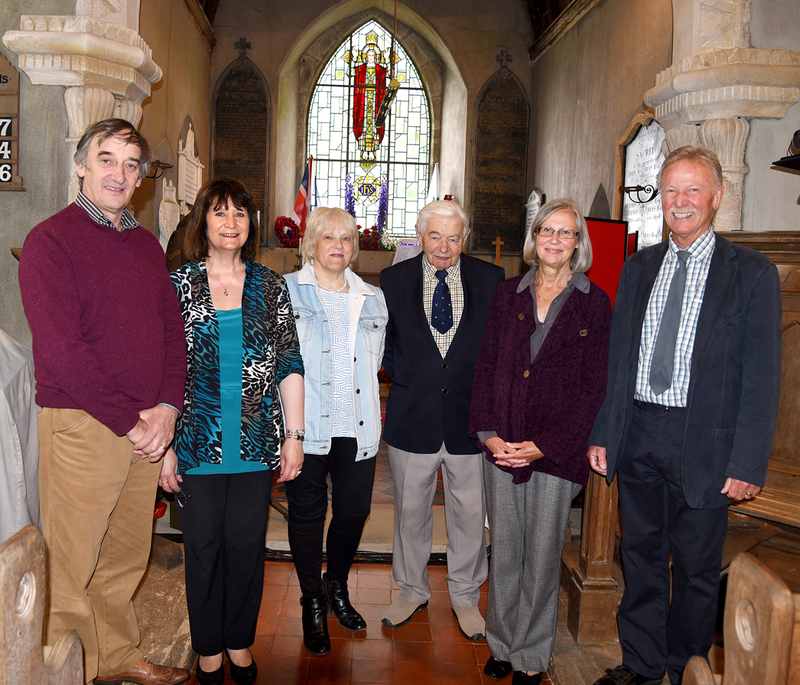 Following a welcome by Church warden Mansel Raymond which was also echoed by the vicar Rev Don MacGregor, Gwyneth Daniel , Lloyd George’s great granddaughter was invited to speak and she reminisced and recounted family tales about her ancestor. 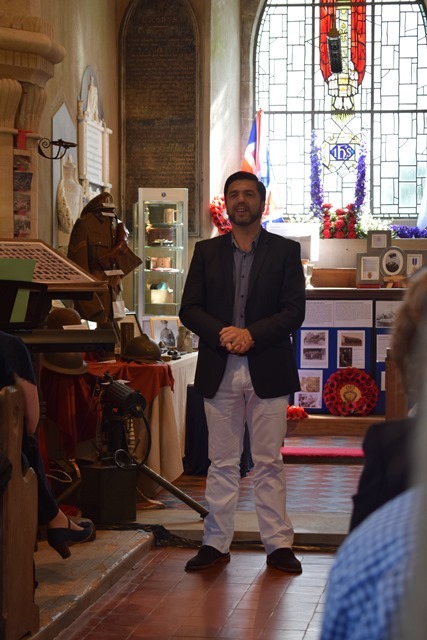 Local MP Stephen Crabb, Secretary of state for Work and Pensions, was invited to address the gathering as was Mark Williams MP and leader of the Welsh Lib Dems. Also present was the Chairman of Pembs County Council, and Meurig Raymond President of the NFU England & Wales. 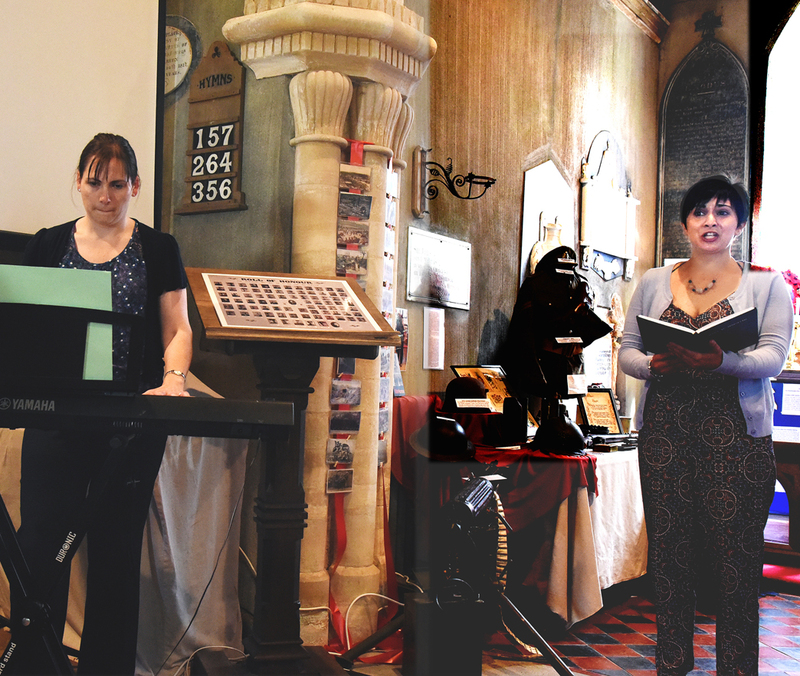 Catrin Raymond enchanted everyone present with her rendition of ‘I vow to Thee my Country’ and ‘Unwith eto Nghymru annwyl’ very ably accompanied by Lydia Lawrence. Proceedings concluded by a blessing from the vicar. On Sunday morning there was a service of morning prayer conducted by the vicar which was very well attended. 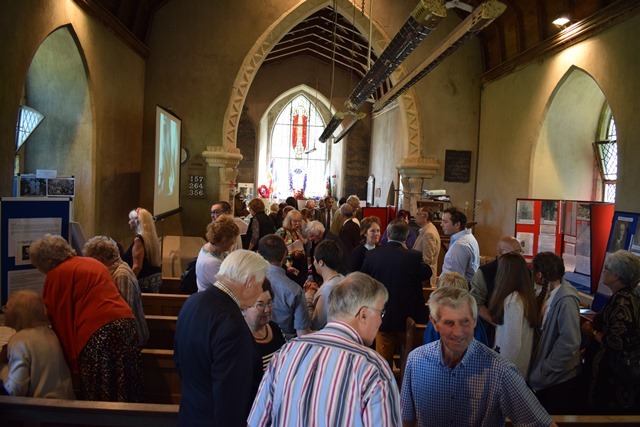 The success of the event was due to a large number of people many of whom who had no direct connection with Jordanston Church. These are all thanked for their magnificent contribution and their efforts are greatly appreciated. 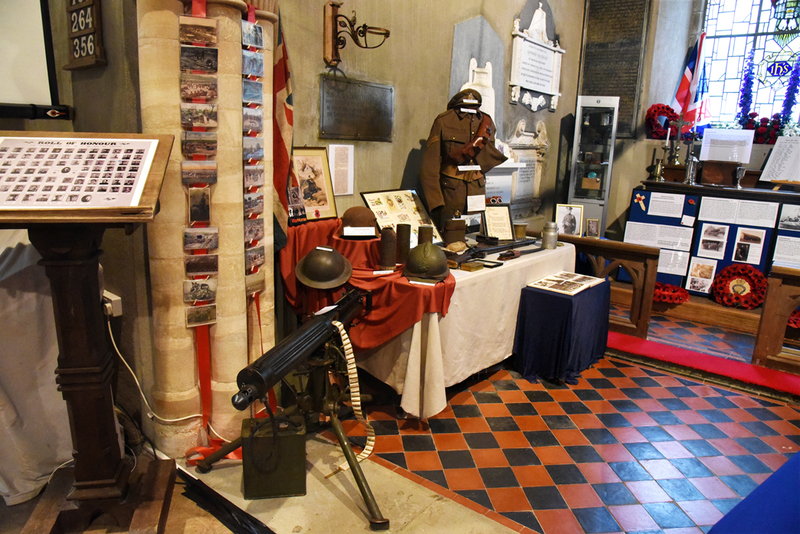 A number of the displays will remain in situ over the summer for the benefit of visitors and the church is open daily.